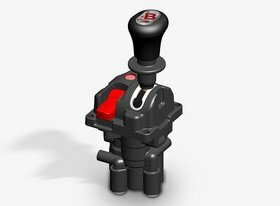 Binotto offer a various selection of remote cab control valves, both mechanical and pneumatic type. 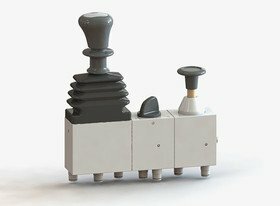 B-Power is pneumatic compact type of tip control valve, available with many different configurations, with and without PTO, with or without automatic return. Sandwich type is slim, light and robust and is the result of a combination of three different type of pneumatic remote cab control valves to operate tip/low, pto engagement and side gates. 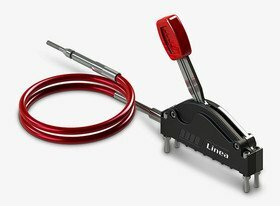 Linea series is the mechanical version, with cable length up to 9 meters, for PTO engagement and/or mechanically driven tipping valve operation. From decades of experience in manufacturing tipping systems for thousands of customers worldwide, intensive development and design work, continuous testing under the most rigorous conditions, the Binotto wide selection of cabin controllers ensure the possibility to install suitable components nearly for any tipper.